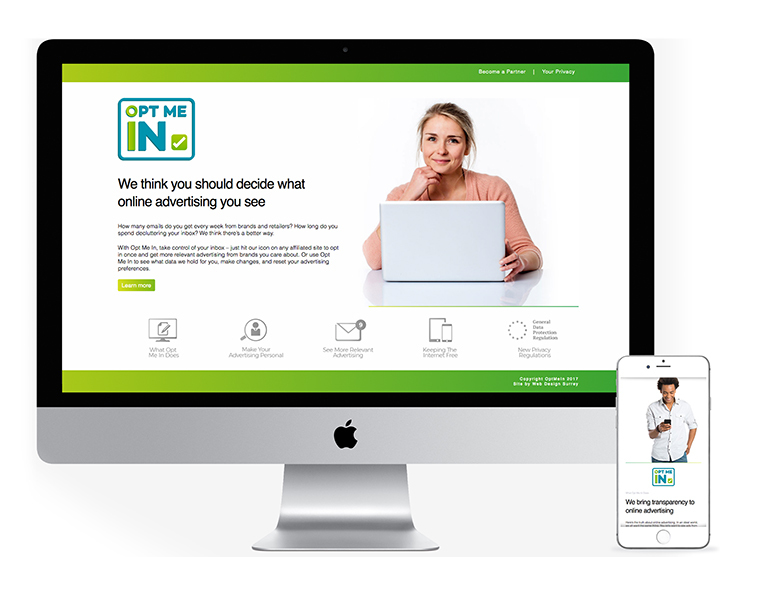 Opt Me In is a new consumer service allowing web users to decide what online advertising they should or want to see. The Opt Me In service allows users to take control of their email inbox, to see what data is held about their email preferences, make changes and reset advertising preferences, simply. The Progression Design Agency were, (following the well-received ESBConnect website we created for the same organisation) asked to design and produce this consumer-facing website. The idea being to create a site that was both approachable and authoritative. The website utilises the supplied brand guidelines and logo, incorporating a broad spectrum of people, with an easy to navigate, icon-friendly website. The website is fully responsive across desktop, mobile and tablet and benefits from having a comprehensive CMS to allow for future client updates and reduce additional cost implications. Progression Design have, as well as the front end design and programming of the website also fully optimised the site for SEO and Google Analytics.